3 Bedroom Semi Detached House For Sale in Lewes for Asking Price £370,000. Freeman Forman are delighted to market this charming and well presented Georgian style three bedroom family home. Accommodation includes a living room with bay front and fireplace along with a dining room with under stairs storage cupboard and fitted kitchen overlooking the garden. Stairs ascend from the entrance hall to the first floor where three bedrooms benefitting from fitted wardrobes and a family bathroom can be found. Externally the property benefits from a private south east facing low maintenance rear garden with established borders, plants and trees. Further benefits include a long driveway to provide ample off road parking, a single garage, double glazed windows and gas central heating. 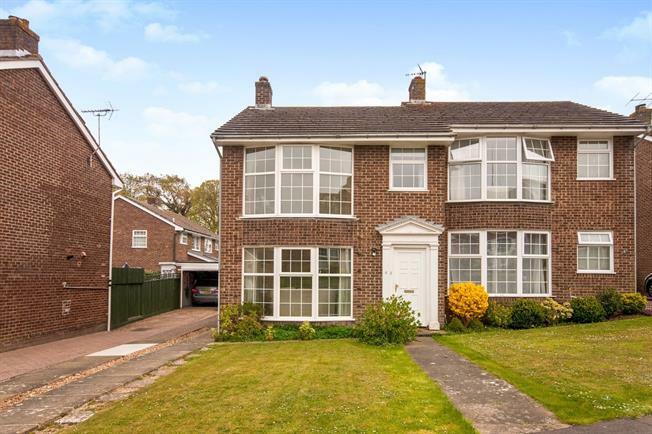 Freeman Forman would strongly recommend a viewing of this popular family home within a sought after cul de sac.